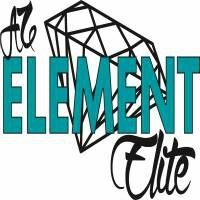 Arizona Element Elite started in 2014 because we wanted to do cheerleading right. Make it about the athletes, giving them a place they can call home and feel secure. Due to our beliefs, we have grown to be one of the largest gyms in the valley. Since opening, we have won many national titles from major competitions including NCA and Summit. Our coaching staff is second to none. We believe we have the best coaches in the state. "Thank you, Arizona Element Elite, for serving not just the cheerleaders, but also the cheerleaders' families. Your warm, welcoming atmosphere allows parents to feel connected not just to the sport, but more importantly - to their child. Thank you for employing positive, encouraging, and well-certified coaches that are committed to meeting the athletes' physical and emotional needs. It is incredible to win 2nd place at NCA at the largest cheer competition and still be able to maintain the focus and priority on creating a safe and positive training atmosphere. Thank you Element. Good luck with your incredible gym expansion and here's to many more years with you! A very thankful gym mom." "I went to a few cheer competitions this year and even though my daughter doesn't cheer any longer we love watching the competitions... The coaches at element cheer are great and we love how positive they are with the kids..."